Well hello to you my fellow book loving chums! Apologies for the lack of blogs! 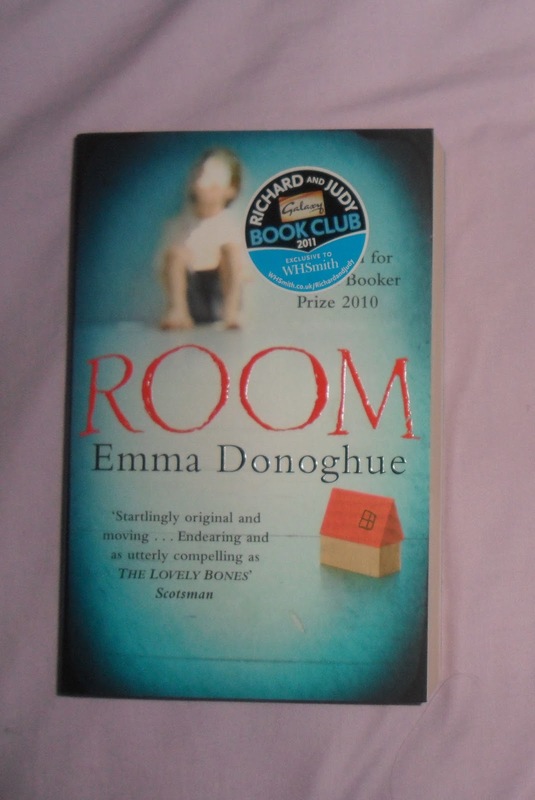 Today I thought I'd do a book review on a recent book that I have read, its called Room. Room is written from a child's perspective, whose name is Jack. As its from his view the sentences aren't grammatically correct at times and the objects are personified, which I found intriguing in the novel as its an unusual writing style. The use of a child's perspective helps give an insight of a child's way of seeing things and helps explain the situation better in my opinion. This view makes the novel, it really helps build your imagination by imagining how Jack sees this room, the room his been living in his whole life. It makes you feel the emotion and torment between the characters and really feel their fear. Room is definitely one of those novels that you have to keep reading and reading to find out what happens next. The author has written it so it keeps the reader interested and leaves them in suspense in what happens, which really builds the tension and adds a dramatic aspect. The book also has a really emotional side and makes your heart break at times with what the characters go through, it gives you a real awareness in what happens in kidnapping cases which really appealed to me because its not one of those things you encounter on a day to day basis. This book is a definite recommend, it really keeps you on your toes and wondering what happens next. The relationship between Ma and Jack is so loving, that you'll want to go and help them yourself. Its one of those novels that really draw you in and pull on the heart strings! I'd give it five stars, if your interested in tales from a child perspective or emotional/dramatic novels this book is for you!